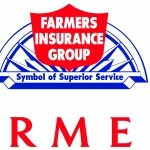 Farmers Insurance is the subsidiary of Zurich Insurance Group AG, which was founded in the year 1928. The American insurance and financial service company has its headquarters in Wilshire Boulevard, Los Angeles, California, United States of America. Through about 24,000 employees and 50,000 agents the company serves around 10 million households and more than 20 million individuals. The insurance products of the company are auto insurance, homeowners insurance, life insurance, business insurance, motorcycle insurance, recreation insurance, financial products, and umbrella insurance. The company also offers other financial products such as mutual funds, variable annuities, and a variable life insurance. There are currently 1 consumer reviews about Farmers Insurance available. Share your review. Please take a note that you are about to post a public review about Farmers Insurance corporate office on CorporateOffice.com. This review will be public, so please do not post any of your personal information on this website. If you would like to contact the corporate offices of Farmers Insurance, please use their contact information such as their phone number, website, and address listed above to contact them. However, sometimes staff from Farmers Insurance headquarters do read the reviews on this website.